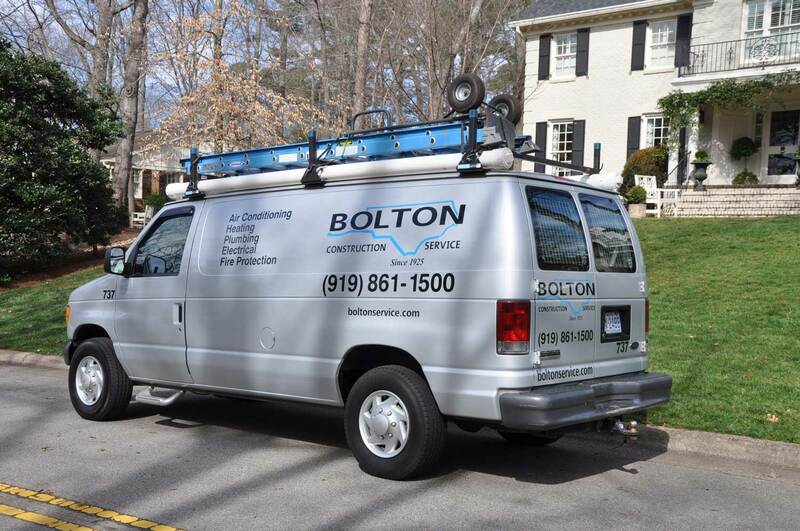 If you need a commercial or residential plumber in Raleigh, or Cary, North Carolina areas, we are always just a phone call away. Our company has been a trusted resource for plumbing services in the Research Triangle for decades, and we have steadily built our capabilities over the years. The highly experienced professional plumbers that we have on our staff can handle residential jobs of any size and scope, and our services extend into the commercial realm. Business owners and decision-makers can count on Bolton Construction & Service for quality plumbing work at affordable prices. We have always recognized the importance of quick responses to plumbing service calls, and we take a lot of pride in our rapid response times. Our hotline is open around the clock, and we provide emergency service 24 hours a day. In addition to our repair work, we can also handle new construction projects and major plumbing assignments, like water main replacements. The work that we do in the field is second to none, so the quality is there, but we also do everything possible to keep our prices at a minimum. We are standing by right now if you would like to speak with one of our plumbing specialists in Raleigh and Cary, NC. You can get in touch with us by phone at (919) 861-1500, and you can also reach us electronically if you send us a message through our contact page.